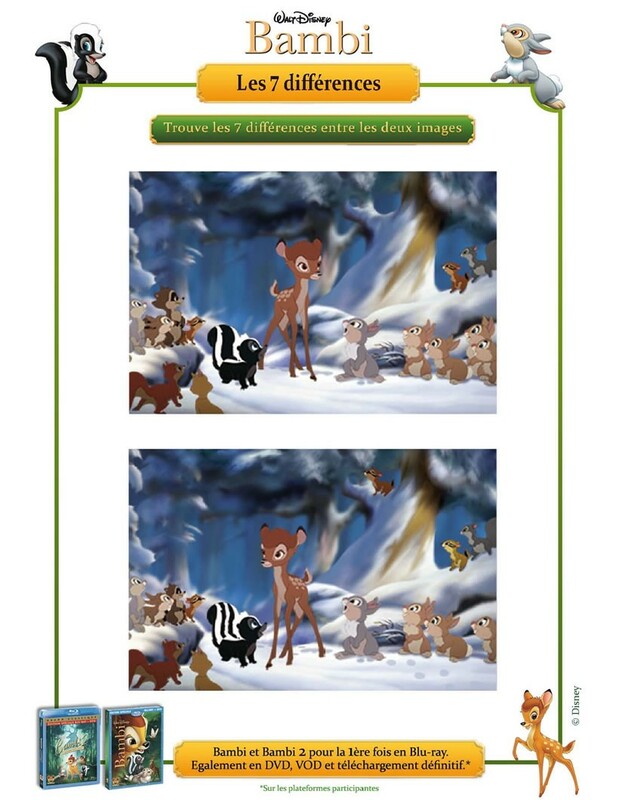 Look carefully at these two [Disney] pictures of Bambi. There are seven differences to be found between the two images. If you do not manage to find them, print the image with your printer.